Sinus infection when not treated promptly and properly may spread via anastomosing veins or by direct extension to nearby structures (Fig. 5). Orbital complication was categorized by Chandler et al. (67) into five separate stages according to its severity (see chapter 11). Contiguous spread could reach the orbital area, resulting in periorbital cellulitis, subperiosteal abscess, orbital cellulitis, and abscess. Orbital cellulitis may complicate acute ethmoiditis if a thrombophlebitis of the anterior and posterior ethmoidal veins leads to a spread of infection to the lateral, or orbital, side of the ethmoid labyrinth. 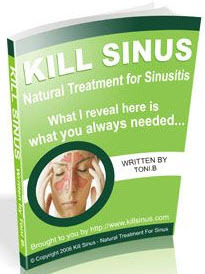 Sinusitis may extend also to the central nervous system, causing cavernous sinus thrombosis, retrograde meningitis, and epidural, subdural, and brain abscesses (67,85,86). Monitoring for possible intracranial complication is therefore warranted. Orbital symptoms frequently precede intracranial extension of the disease (27,86). The most common pathogens in cellulitis and abscesses are those seen in acute and chronic sinusitis, depending on the length and aetiology of the primary sinusitis. These include S. pneumoniae, H. influenzae, S. aureus, and anaerobic bacteria (Prevotella, Porphyromonas, Fusobacterium, and Peptostreptococcus spp.) (9,24). The organisms isolated in cavernous sinus thrombosis are S.aureus (50-70% of instances), Streptococcus spp. (20%), and AGNB (pigmented Prevotella and Porphyromonas, and Fusobacterium spp.) (87,88). Similar organisms can be recovered from orbital abscesses and their corresponding maxillary sinusitis (88). 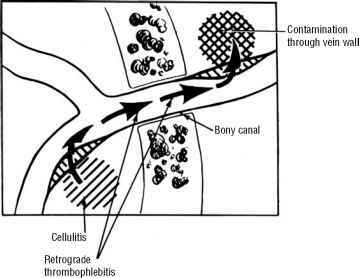 FIGURE 5 The route of spread of infection from the site of periorbital cellulitis into the cranial cavity through retrograde thrombophlebitis. The organisms recovered from brain abscesses that complicated sinusitis are anaerobic, aerobic, and microaerophilic bacteria. Anaerobes can be isolated in over two-thirds of the patients, and include pigmented Prevotella and Porphyromonas, Fusobacterium, and Pepto-streptococcus spp. (27,85,86). Microaerophilic streptococci are also very common, and can be isolated from abscesses caused by maxillary sinusitis that originates from the dental infection of the upper jaw. The most common aerobe is S. aureus, and H. influenzae is rarely isolated. Brook et al. 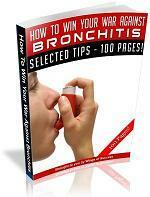 (86) reported eight children who had complications of sinusitis. Subdural empyema occurred in four patients; in one patient it was accompanied by cerebritis and brain abscess and in another by meningitis. Periorbital abscess was present in two children who had ethmoiditis. Alveolar abscess in the upper incisors was present in two children whose infection had spread to the maxillary and ethmoid sinuses. Anaerobic bacteria were isolated from the infected sinuses in all the patients. Three of the four patients with intracranial abscess did not respond initially to appropriate antimicrobial therapy directed against the organisms recovered from their abscesses. They improved only after both the subdural empyema and infected sinus were drained. Surgical drainage and appropriate antimicrobial therapy resulted in complete eradication of the infection in all patients. Arjmand et al. treated 22 children with subperiosteal orbital abscesses (SPOAs) (90). S. aureus and anaerobic bacteria were the predominant isolates. Gerald and Haris (91) evaluated 37 patients with subperostal abscess of the orbit. Polymicrobial infections including anaerobes were recovered in most cases. These included AGNB, Peptostreptococcus, Veillonella parvulla, Eubacterium spp., and microaerophilic streptococci. Dill et al. (92) studied 32 patients (including 16 childen) with subdural empyema, associated with sinusitis in 56% of cases. The predominant organisms isolated from these patients were anaerobes and streptococci. Brook & Frazier (88) studied aspirate of pus from eight SPOAs and their corresponding infected sinuses. Polymicrobial flora was found in all instances, and the number of isolates varied from two to five. Anaerobes were recovered from all specimens. The predominant isolates were Peptostreptococcus, AGNB, S. aureus, and microaerophilic streptococci. Concordance in the microbiological findings between SPOA and the infected sinus was found in all instances. However, certain organisms were only present at one site and not the other. Even though the judicious selection of antimicrobial agents is of utmost importance, the treatment of the complications of sinusitis frequently requires surgical intervention. The morbidity and mortality are reduced when therapy includes surgical drainage, and it is an integral part of patient management. Other complications of acute and chronic sinusitis are sinobronchitis, maxillary osteomyelitis, and osteomyelitis of the frontal bone. We have reported three children with anaerobic osteomyelitis following chronic sinusitis (93). One child developed frontal bone infection, another had ethmoid sinusitis, and the third child had frontal and ethmoid osteomyelitis. All were associated with the infection of the corresponding sinuses. Acute osteomyelitis of the maxilla may be produced by surgery of an inflamed antrum or by dental abscess or extractions. Osteomyelitis of the frontal bone generally arises from a spreading thrombophlebitis. A periostitis of the frontal sinus leads to osteitis and periostitis of the outer membrane, which gives rise to a tender, puffy swelling of the forehead. Diagnosis of osteomyelitis is made by finding local tenderness and dull pain, and is confirmed by CT and nuclear isotope scanning. The causes are anaerobic bacteria and S. aureus. Obtaining a culture is an important guide for therapy. Management consists of surgical drainage and antimicrobial therapy. Surgical debridement is infrequently needed after a properly extended course of parenteral antimicrobial therapy (94) Antibiotics should be given for at least six weeks. Hyperbaric oxygen therapy may be useful, but it has not been tested in controlled studies (95). In persistent sinusitis, bronchitis may occur from the bronchial aspiration of infected material from the draining sinuses. 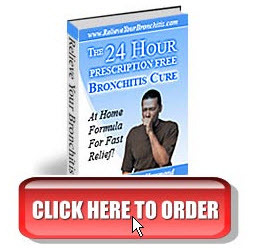 This clinical combination is frequently associated with a chronic cough, and chronic bronchitis may develop.